C&IT GREEN WEEK: COP 15, the United Nations Climate Change Conference kicks off in the Danish capital today and will see world leaders including US president Barack Obama and prime minister Gordon Brown debate global warming and the future of the planet over the next fortnight. The event, hosted at Copenhagen's Bella Center, is expected to welcome more than 12,000 delegates from 192 nations around the world with the aim of reaching a political agreement on reducing carbon emissions. 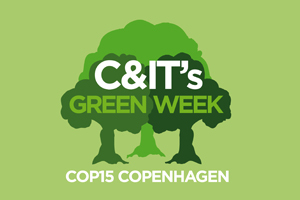 To coincide with COP 15, citmagazine.com will be running Green Week. As well reports live from Copenhagen today and tomorrow, citmagazine.com will feature a range of news, tips, forums and blogs on sustainable meetings and events throughout the week. Email citgreenweek@haymarket.com to share your news and tips on sustainable meetings with the rest of the industry.